"Dispensa", the Italian word for Pantry, is a pretty serious issue here in Italy - we know, we've already told it about Pasta, but we got lot of serious issues when talking about food. During the summertime, Italian Families used to get busy canning and jamming all that they could. Now things are a little changing but the art of preserving is definitely a part of the Italian food culture. Long and hot Italian summer make it possible to have an abundace of some ingredients such as Tomatoes, Basil, Fresh Oregano or Rosemary. In the past time, when more families used to live in the countryside or owned a crop of fields, many of them had a problem: they were not able to consume everything they raised. Further, most of their products were available just in spring and summer, while winter was a meaner period. Here, the tradition of Food Preserving was born. Canning and bottling all the fresh products they picked was in fact the only way to not waste them and ensure a pantry well stocked with staples for the winter. With improved quality of life and an increased population's wealth, things are a bit changing and fewer and fewer people are prepared to spend lot of time (and energy) in such activities, however no store bought Tomato Pasta Sauce compares with the flavor of Homemade. Also called pommarola, Fresh Tomato Preserve is made with just tomatoes, basil and salt. 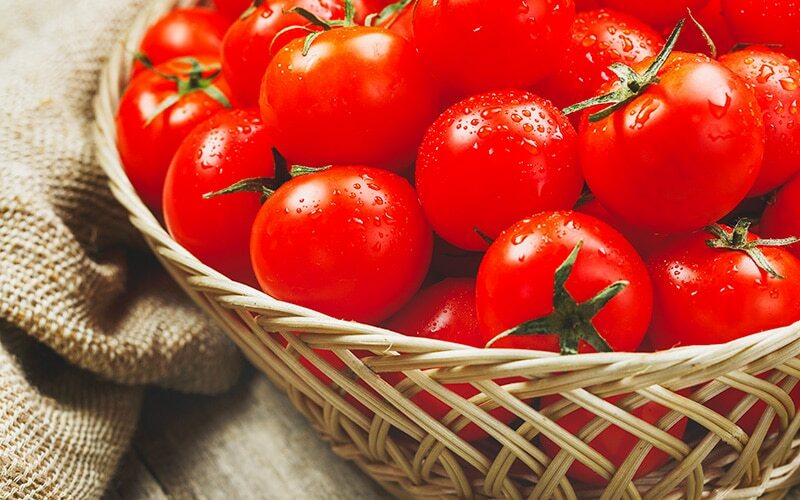 Most households make gallons of it when the flood of tomatoes reaches its peak in August. Mason jars get filled with the cooked tomatoes and constitute a delicious Italian-style Pantry Staple with an incredibly long shelf life. There's a wide variety of stuff you can add to this plain Tomato Sauce to create a well assorted pantry: each Italian family has its own recipes, passed down from generation to generation, however, the "classic" ones feature Mushrooms, Game, Pork Meat, Sausages and - in some cases - Seafood or Fish. The choose really vary from family to family and from place to place: game meat is of course preferred in the valley, while seafood is more common in the seaside. The best way to eat a vegetable is to pick at its peak ripeness, when it is full of flavor and packed with nutrients. Farmers have known this in Italy for generations, and have developed a technique that keeps the flavor of a perfectly ripe vegetable year round. 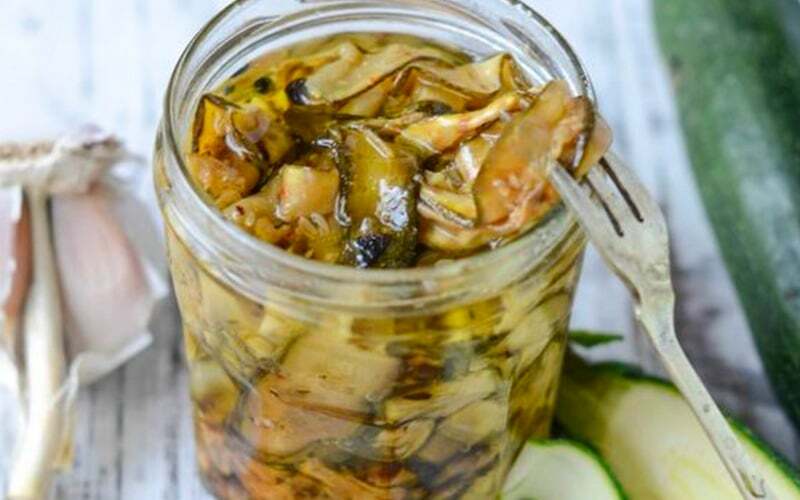 The preservation method, known as Sott’olio meaning “under the oil”, preserves some of the most delicate vegetables- artichokes, mushrooms, asparagus, olives- in Extra Virgin Olive Oil. As it happens with tomato preserves, every family has its own recipes for ott’olio, but the process starts the same: vegetables are harvested, cooked al dente and then and tossed with salt and a mix of spices that differs from recipe to recipe. When vegetables have absorbed the flavors they are packed into jars, and covered with extra virgin olive oil. Olive oil acts as a natural preservative by keeping air away from the food, which is the source of spoilage. Another way to preserve the summer vegetables' freshness is to make them "sott'aceto" ( meaning literally, "under vinegar"). Vegetables are pickled in vinegar, whose acidity keeps the food from spoiling. Italians generally use wine vinegar and make sure it's fairly strong. Wanting to preserve the freshness of Fruit as well, Italy has excellent Artisan Jams from North to South, featuring the best local fruit. In the North, you can find Pear and wild berries, or berry jams in the fall, and quince and apple preserves in the winter. The Padan plains of the Po River valley are famous for their vast orchards, and much of Italy's cherries, peaches, plums, apricots, and nectarines come from here. Italians love quality jam, which, like most Italian dishes, is rarely spiced up with ingredients beyond the basics: fruit, pectin, and sugar...the quality of the fruit is such that the preserves can stand on their own. 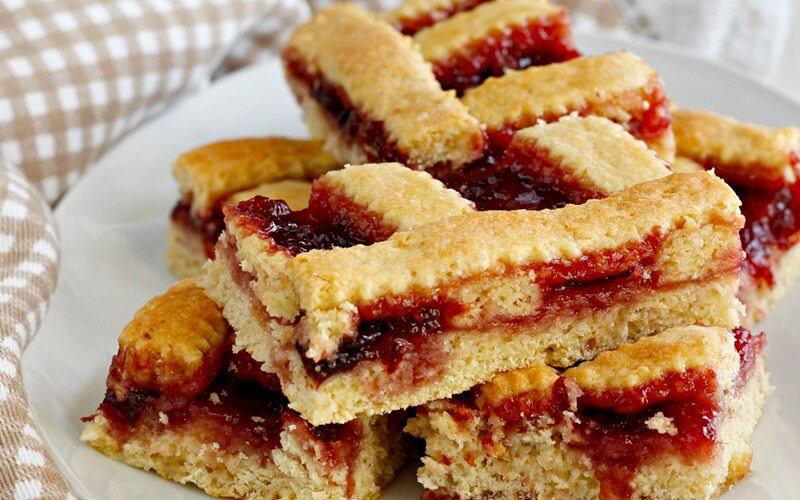 The best way to sample quality jam is on a traditional Crostata, the rustic jam tart which is one of the most beloved Italian desserts. Or, try a slice of white fresh bread with butter and jam... for most of us Italian, this was the typical 4 PM snacks prepared by our Grandmas and Moms! 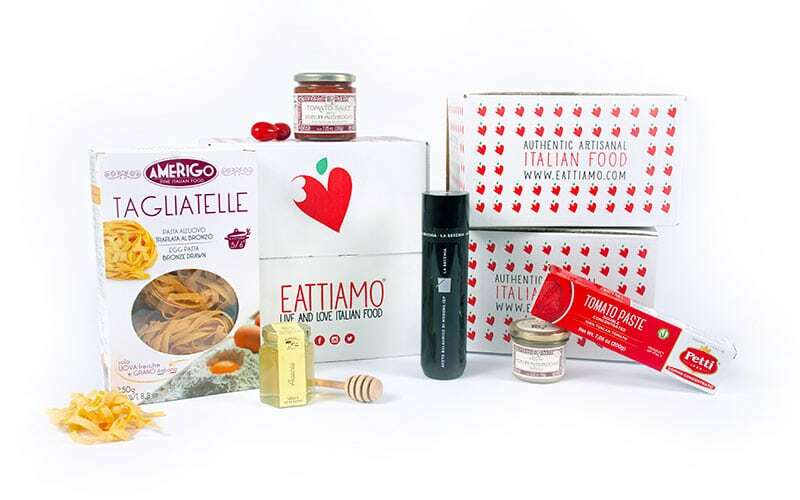 As we have seen, Italy has a strong Tradition of Preserving everything from vegetables to fruits, rooted in centuries of poor rural agricultural economies where frugality made the difference between surviving the winter months and leaner seasons. Though most Italians now live in cities and no longer have a kitchen garden or orchard, come summer you will still see customers purchasing cases of fresh seasonal fruit or ripe tomatoes at the local market to make homemade preserves just like their grandparents. Though most of this goodness is limited to family consumption, there are also excellent artisanal preserves. 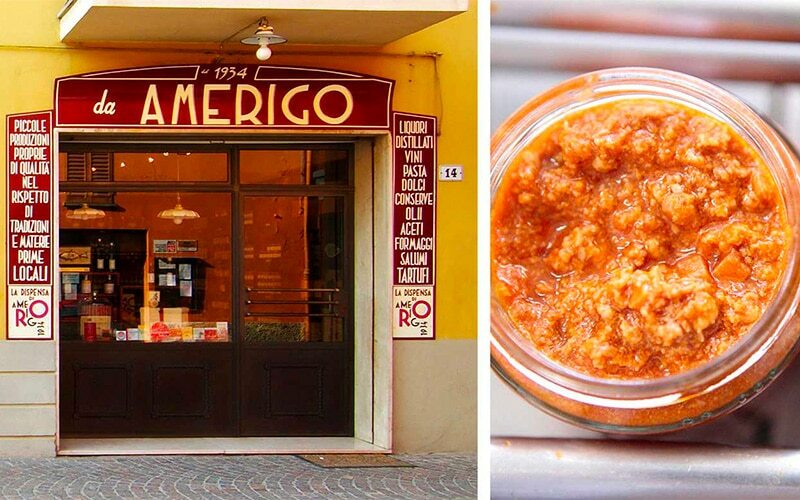 One of our favorite producers is La Dispensa di Amerigo and their Tomatoes, Vegetables Preserves, Jam, Pasta and more, prepared according to the traditional recipes of the hills between Modena and Bologna. The story of this company is one of a kind: the "Trattoria di Amerigo" opened in 1938 in a really small village and, as it was often the case, there was a small grocery shop next to it. In the 80s the grandson of the first owner transformed the "Trattoria" into a more refined restaurant - that made him win a Michelin star. The small shop was always there, so he created the "La dispensa di Amerigo" line using the same recipes proposed in the restaurant, with the same philosophy they have always followed: respect for seasonal produce, and care in selecting and processing local ingredients. Their recipes use ingredients grown and raised as near as possible to them, aiming to use the best materials to create products that are good, healthy and consistent.